In an era where everything is controlled by touchscreens and oblique voice commands, there’s something incredibly satisfying about a gadget with simple, tactile controls. 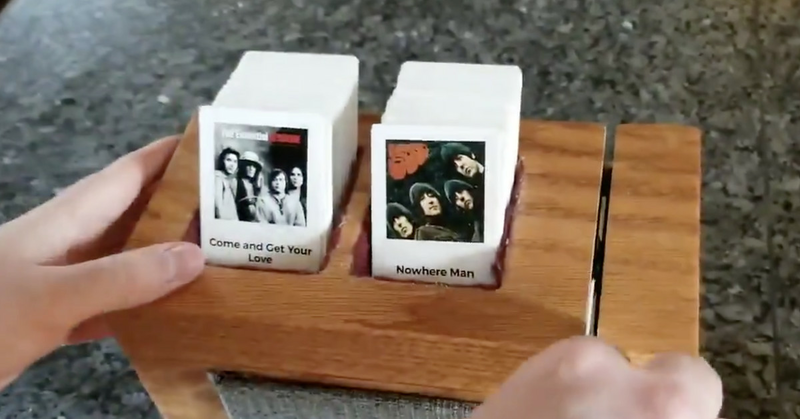 That’s probably why designer Chris Patty’s homemade jukebox looks so charming: it’s controlled by physical cards, each printed with an artist and album art on the front, that you swipe to play a song. Patty created the jukebox as a Christmas gift for his father, after his family decided to only swap handmade presents this year. He later posted a short video of the creation to Twitter, where he’s received enough positive responses that he’s working on an open source version of the software and instructions so that fans can make their own.